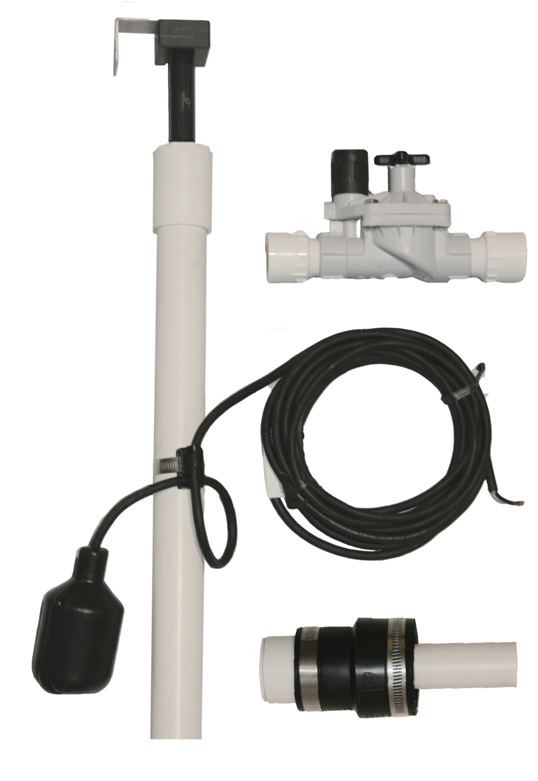 The Auto-Fill Assembly connects to the overflow port on the Filter Tank and can be positioned according to the application at either a high or low level in the Filter Tank. For Use With T40F & T75F Filter Tanks. For Use With T390F Filter Tank. 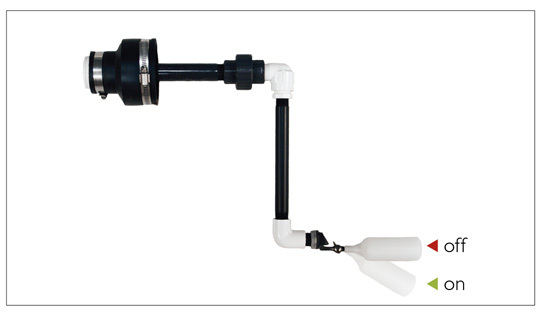 To allow full use of the reservoir in Vanishing Water™ and Hybri-Pond™ installations, the Auto-Fill is positioned low in the Filter Tank. 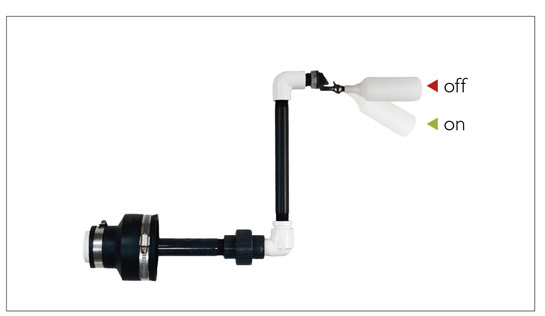 In Traditional Pond installations, the Auto-Fill is positioned near the top of the Filter Tank. Use one of the multi-start programs on an irrigation controller to operate the Auto-Fill.